Chili powder and lime juice are the secret ingredients in this cucumber and orange salad. 1. Wash the cucumbers, oranges and lemon or lime under cold running water. 2. Slice the cucumbers. Peel and cut the oranges into small pieces. 3. 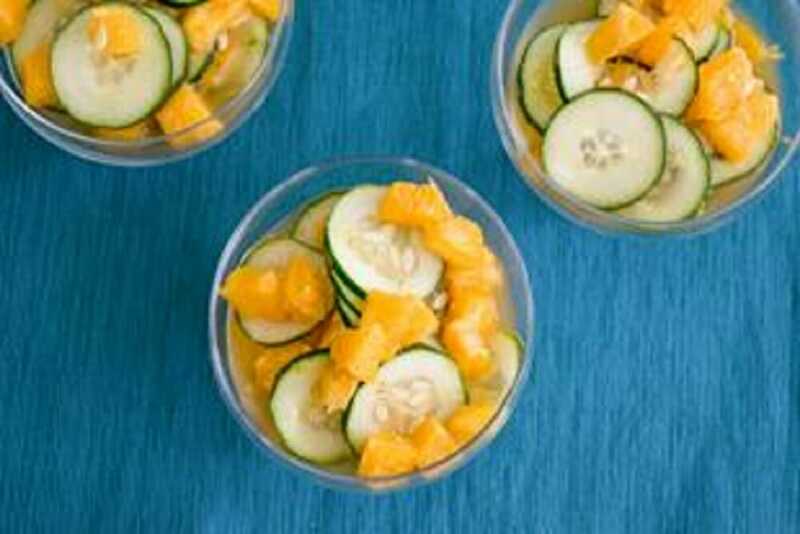 Place cucumber slices and orange pieces in a medium size bowl. Add chili powder, lemon or lime juice and salt.